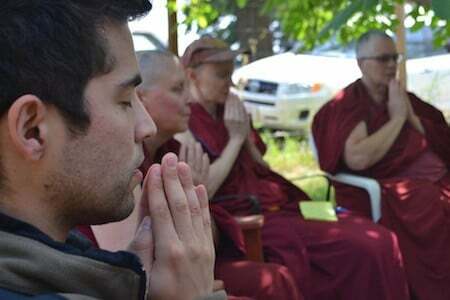 Exploring Monastic Life is for qualified lay people exploring the possibility of ordination, and for monks and nuns that have been ordained for five years or less. 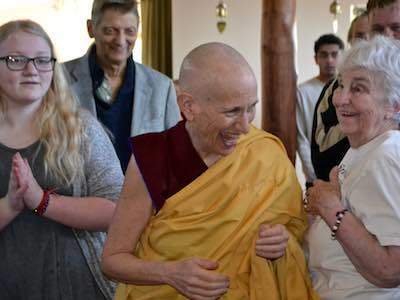 One Sunday a month, Sravasti Abbey opens our doors for Sharing the Dharma Day, an opportunity for newcomers and old friends to explore the Buddha’s teachings and share in community fellowship. All are welcome! On the Manjushri Retreat, take a week-long vacation with the Buddha of Wisdom. Join us for the Abbey’s annual 1-week meditation retreat on Manjushri.